Birchall Blackburn Law has been shortlisted for two prestigious conveyancing awards, just 12-months after triumphing at the same event. 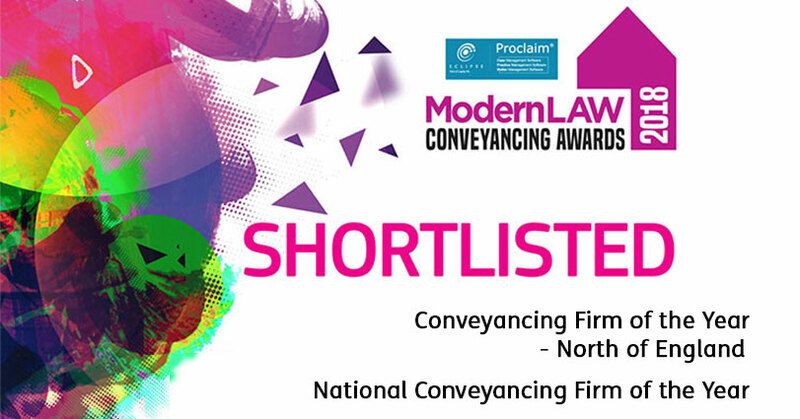 The Modern Law Conveyancing Awards 2018 have recognised Birchall Blackburn Law in the ‘Conveyancing Firm of the Year North of England’ category and the ‘National Conveyancing Firm of the Year’ category. The firm scooped the Northern title at the 2017 awards after facing stiff regional competition and is hoping to go one better at this year’s event by claiming the national award. The awards, sponsored by Eclipse Proclaim, identify those firms who have consistently achieved success as teams or individuals and those who are championing client care. Partner and head of conveyancing at Birchall Blackburn Law, Michael Foxford, said: “We’re always striving to deliver the best conveyancing service for our clients. We invest heavily in training and innovation to achieve this, so it’s great to have these efforts recognised by our peers in the industry. The award winners will be announced at The Rum Warehouse, Liverpool on Thursday, July 12.